Running can be a fantastic way to improve your health—if you’re doing so correctly! There are many people, however, who are running more as an obligation than as a passion. Perhaps they have committed themselves to running the Pear Blossom Run in Medford or the Lake of the Woods in Klamath Falls. Or maybe they have a friend, family member, or doctor who has recommended they try it. Starting to run can feel inspiring, but it sometimes doesn’t take long before it’s more… perspiring for some. You might start thinking that this whole “running” thing might not be so enjoyable at all! And you know what? It’s perfectly fine to feel that way. In some cases, it might indeed be better to try a different form of aerobic exercise, such as cycling or swimming. Some good advice can make a difference in your enjoyment of running. Some people will be stubborn and keep running even if they despise it. Enjoying running is important to us not necessarily on a feelings spectrum (although we do want you to be happy!). It’s that running reluctantly may mean that something isn’t right, or that you won’t care whether you’re doing something right. Both situations can increase your risk of developing an injury. So, before you decide to hang up the running shoes or just push on ahead, consider some of the following running tips. They might make you happier—or at least keep you from feeling worse! Some runners try to adapt a “mind over matter” philosophy for their runs. If they can keep themselves distracted with music, podcasts, or achieving some sort of Zen state, then the run they’ve prescribed themselves will be over before they know it! This isn’t the ideal way to approach a run, however. If you are trying to distract yourself from the fact you’re running, you’re also ignoring how you are running. 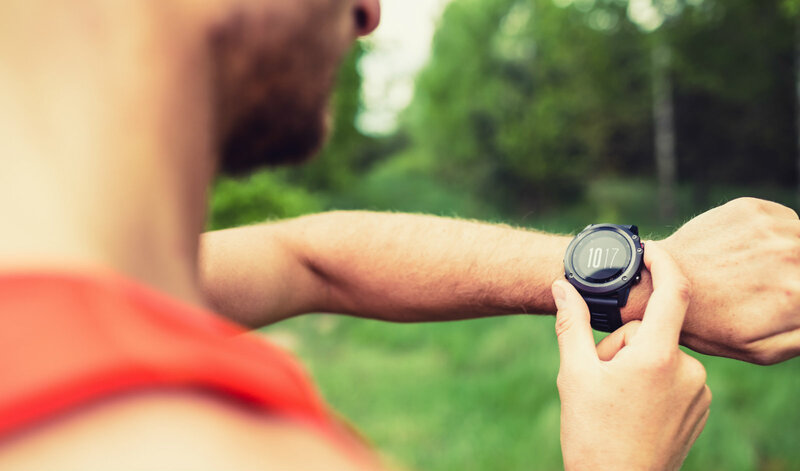 You should be invested enough in your running to keep track of your breathing, your stride, how you are landing on your foot, and how you are pushing off. A lack of awareness in these matters can make you vulnerable to poor form or overuse, and that is just asking for pain. Try foregoing the iPod for a run, and see how well you can keep yourself engaged. If you get bored after a while, that’s a pretty good indication that you have reached your limit for now! Walk for a bit, regroup, then start up again. Don’t set a distance goal before you know what your body and mind are up for! Beginner runners may pull out an old, worn pair of shoes from the back of the closet or—heaven forbid—just go with a regular pair of walking shoes when they start off, as though these were suitable “trial” shoes before they consider putting the full effort in. This just doesn’t work well. Shoes that don’t provide the proper support for running—and for your gait—may give you more challenges during your run than not. Your risks of injuries such as shin splints and stress fractures can rise, and nobody enjoys those. A new pair of running shoes does not have to be extravagant. $70-$100 is a reasonable spending range. The important part is that you find a pair of running shoes that will work best for how you move. The best way to ensure that is to work with a trained associate at a running store. If you have a new pair of running shoes and things still don’t feel right, there might have been an error in selection. In some cases, you might even need some added support via orthotics. We can take a look at both your shoes and your gait to help you make the best decisions. Many beginning runners feel like they’re always out of breath as they run, or simply feel too tense overall. The latter can come from muscles being clenched. Hard breathing when starting up running is a good sign of overexertion and potentially shallow breathing. Make sure you are breathing in through both your mouth and nose, and then out through the mouth. You should feel your abdomen expanding as you breathe deeply, instead of your upper chest. If your breathing feels too shallow or untamable, that’s your cue to slow down. Your breathing should follow the “three C’s”: controlled, comfortable, and conversational (in other words, you should be able to talk with someone as you run). For muscular tension, keep track of your form. Your shoulders should be back and down (not like you’re about to put your dukes up). Thumbs should rest loosely on the knuckles of your forefingers. And your feet (of course your feet!) should be loosely hanging. You do not have to forcibly drive the way you point or pull your toes forward. This can actually contribute to injury risk. Just trust your feet on this one. If running is the only thing you’re doing, it can quickly wear on you —both physically and mentally. Work some strength training into your routine. It can make a big difference to your enjoyment of running by improving your leg power and core stability. It will also help keep your body and form in balance to help avoid those injuries! It also doesn’t hurt to add other workouts such as cycling or yoga classes into your schedule, too. Working different muscles in different ways increases your stability over time—and just makes things more fun overall. We can’t really help you if you still feel uninspired, but there are plenty of other activities that you might love instead! But if running is leaving you aching in your feet or ankles, and switching things up doesn’t help you out, then it’s time to see Dr. Merrill or Dr. Gerber. 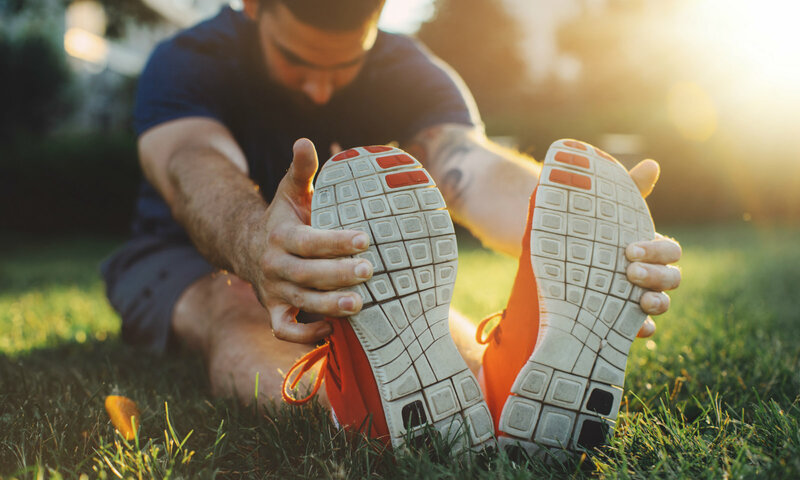 We can help you get to the roots of your pain and determine the best treatments and changes to get you running—if you want to! Contact our Medford office at (541) 776-3338 or fill out our online contact form to have us reach out to you.